“Some complain that I’m pushing for ‘new rights’ or ‘special rights’ for lesbian, gay, bisexual and transgender people. But there is nothing new or special about the right to life and security of person, the right to freedom from discrimination. 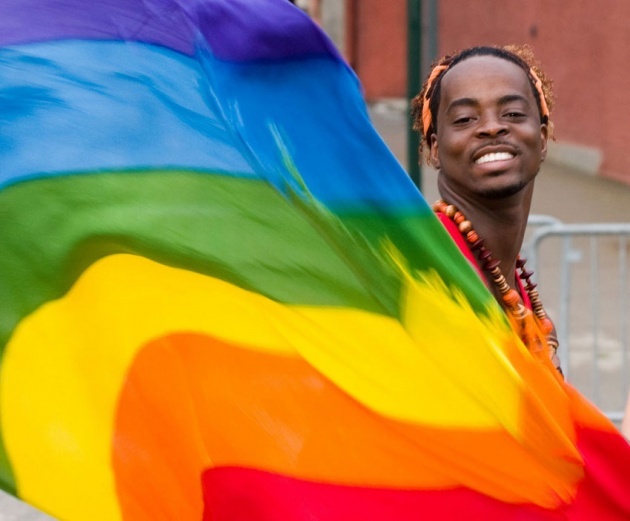 These and other rights are universal… enshrined in international law but denied to many of our fellow human beings simply because of their sexual orientation or gender identity,” asserts UN High Commissioner for Human Rights, Navi Pillay marking the International Day Against Homophobia. I had personally witnessed SG Ban speak of how his perspective on LGBT people had evolved. As he described it he went from not talking about it to understanding it in the full human context and as part of his responsibility. In 2010, he lauded the “courageous” decision by President Bingu wa Mutharika of Malawi to pardon a gay couple who had been sentenced to 14 years in prison, and, more recently, he stressed the need to ensure the rights of LGBT people during a visit to Zambia. The head of UNAIDS, the lead United Nations agency dealing with the global HIV/AIDS response, said the laws are serious barriers to an effective AIDS response and are driving LGBT people underground where they cannot access life-saving services. “A society’s value should not be based on money or power. It must be measured by the way it values people, regardless of their sexual orientation or social status. A prosperous society is one that ensures inclusiveness and respects all people,” said UNAIDS’ Executive Director, Michel Sidibé. “To our gay, lesbian, bisexual and transgender friends, UNAIDS stands with you.”Also See our Film for Blog - "Homophobia, International Day Against - 2011"